In 1985, as a reporter of a national daily in Lucknow, I had an opportunity to cover a lecture by Nani Palkhivala, one of India's greatest legal minds, at an event organised by an industry association. In those days, VP Singh as finance minister was on a warpath to unearth black money. He unleashed tax and investigative authorities on corporate houses indiscriminately. Even the most respected corporate houses and their owners, irrespective of their age, were hauled over the coals in a frenzied manner by income-tax sleuths and officials of the Enforcement Directorate (ED), directorate of revenue intelligence (DRI) and customs. It was as if the finance minister was hunting prey cornered by his troops. All this to the eager and unquestioning drum-beating by the media. In those maddening times, Palkhivala stood out as a lone voice that rubbished the finance ministry’s campaign an immoral witch-hunt which would have far-reaching and deleterious consequences for the country. He questioned the need to knock the doors of a highly respected and aged industrialist such as SL Kirloskar at the dead of night as if he was a petty criminal. “What exactly are you trying to convey?” Palkhivala had asked. Palkhivala’s logic and arguments left no doubt about the futility of VP Singh’s endeavours. Yet VP Singh’s drum-beaters, including the mainstream media, continued the hunt and created a scare in India Inc. This continued till Rajiv Gandhi cut Singh's wings and shifted him from finance to defence. By then, however, the damage was done. Singh came to don the mantle of a "Mr Clean" who would be satisfied with nothing less than an oral overhaul of the system. He was seen as anti-rich, a credential powerful enough to endear him to the toiling masses. Making good use of this newly acquired image, Singh parted company with the Congress and forged a coalition against Rajiv Gandhi who had meanwhile got embroiled in a series of payoff controversies in defence deals. Singh's victory in the Lok Sabha elections of 1989 gave us a short-lived government as he proved to be clever only by half. Much of his talk of probity in public life turned out to be hogwash and he soon perished. But the country paid a heavy price – on the political, social as well as economic fronts. Indeed, his becoming prime minister was an extraordinary event that put India on a nearly irreversible path of political instability, chaos and moral turpitude. It also hurt the economy to the point of India having to mortgage its gold reserves. More than 30 years later that atmosphere of fear seems to have made a comeback. Tax and enforcement sleuths are being unleashed on businessmen. The way the Central Bureau of Investigation (CBI) and ED have been pursuing cases of alleged irregularities in the banking and finance sector is bound to send a chill down banking and corporate sectors and make them common hate figures. Coming as it does towards the end of Prime Minister Narendra Modi's tenure, it would seem like the government is, willy-nilly, giving us a glimpse of the raid raj of VP Singh. If one looks at the manner in which these so-called scams are handled, it appears more like a witch-hunt than pursuing any real objective of correcting the financial system giving rise to a serious doubt: Is this a deep-seated conspiracy to cripple the banking system and unsettle the government? It is instructive to note here that in the initial stages of the investigation of Vijay Mallya’s loan default, the CBI and ED were not on the same page. Quite strangely, the CBI’s assessment was that Mallya’s case did not fall into the category of fraud as he had merely taken loans and defaulted on repayment. The critical perusal of his financial transactions did not indicate any diversion of funds. “It was a case of default, not fraud,” an investigating officer told me. But ED insisted on filing a case of diversion of funds. Later, the CBI changed the investigators and fell in line to frame Mallya’s case as a fraud. It is nobody’s argument that Mallya’s case should not be probed. But are we not missing the woods for the trees? Mallya’s case belonged to the genre of an outrageous profligacy indulged in by a group of bankers, politicians and corporate houses. The real question is: How did Mallya secure loans when there were clear signs of his civil aviation business failing? The answer lies in the conduct of those manning the finance ministry in those days – Pranab Mukherjee and P Chidambaram. There are certain instances that need to be highlighted to understand the manner in which the finance ministry was run under the stewardship of Mukherjee and Chidambaram. A Bihar-cadre IAS officer posted as joint secretary in the department of financial services, Amitabh Verma, became so influential that once Mallya created a stir in Patna by flying in his private jet from Bangalore to meet Verma in the early years of UPA-1 with Chidambaram as FM. 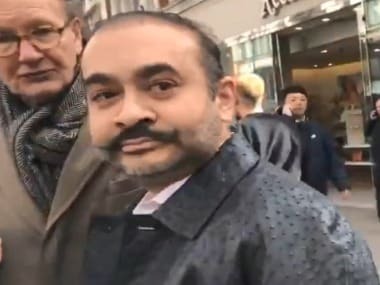 “We thought he had come to meet the chief minister,” said a local officer who came to know about Mallya’s presence in Patna. Mallya drove straight to Verma’s residence and flew back after meeting Verma. 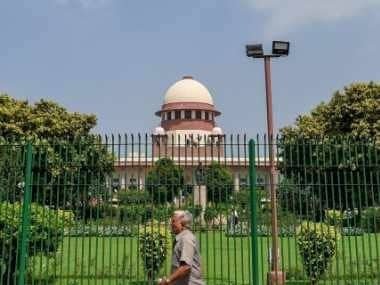 L’affaire Sahara is another example of how authorities and institutions – in this case, Sebi and the Supreme Court – hound business houses and in the process grind business to a halt while we continue to wait for justice. The fact remains that no criminal case has been made out against the Sahara group or its chief so far. Yet, he was sent to jail – with the inadvertent effect that he continued with his affluent lifestyle in Tihar jail, subverting the prison system, as well. 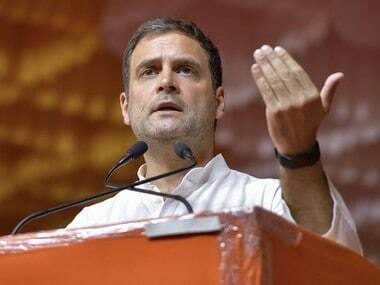 The sum total of what has been achieved by the hyperactivity of CBI and ED is that it has struck fear in banking and business circles at a critical time for the Modi government and the country when the economy is showing signs of shaking off its sluggishness of the last eight quarters. Of course, it has created the right electoral optics for the government by creating an impression that the high and mighty will not be spared. But that is like cutting your nose to spite your face. 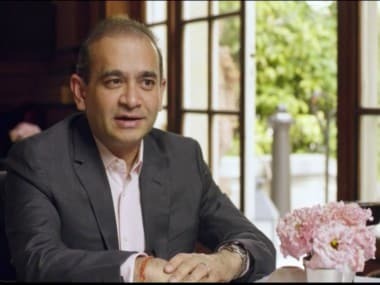 At the first instance, cases like Mallya, Nirav Modi and Vikram Kothari, are striking examples of the complete failure of the internal operational risk audit and external regulatory mechanisms, especially by the Reserve Bank of India and the Department of Banking and Financial Services in the Finance Ministry. We are yet to hear a word on what is being done to ensure accountability of these preventive systems which have obviously been in deep slumber. Instead, we have the overenthusiastic CBI and ED, which are hardly equipped to decipher the fine print of financial transactions almost trying to decide who is a legitimate borrower and who is not. “CBI and ED can look into the criminal aspects of a loan gone bad, but it would be absurd to expect them to ascertain the eligibility criteria of a loan,” a senior government officer told me. 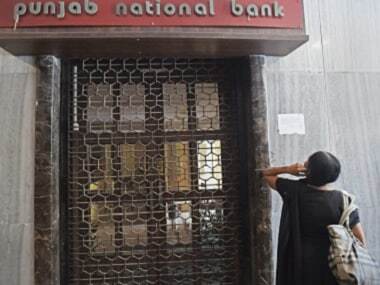 The overenthusiasm displayed by CBI and ED has created a scare in the banking industry which was already battling record levels of non-performing assets (NPAs). The CBI is getting flooded with requests to take up probes of cases that are patently “bad and immoral banking” rather than serious fraud. Anybody with even a little understanding of governance would know that it would be a grave error to entrust the responsibility of reinforcing moral and ethical values in the financial system to police agencies. That is the job of the political establishment and the regulators. The CBI and ED should not be allowed to appropriate that role.